"I have met many dedicated players and teachers in my global travels and few really stand out with endless dedication and deep passion in every note they play! Lee Smith has impressed me from the start! We have had many lessons together and he has an insatiable desire to always learn more. He goes above and beyond for all his students and continues to raise the standard of modern drum set performance! This is the new 21st century level for drumming!" "Lee brings such a fresh sound and intuitive approch to both his drumming and teaching style.We are thrilled to have Lee as part of the Vic Firth family,truly perfect pair!" 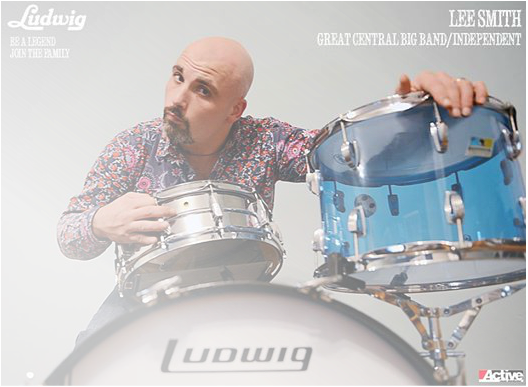 "Aside from being a warm and friendly human being, Lee Smith is a wonderful drummer. He has a deep understanding of the instrument, along with a solid technique, which leads him to play the instrument in a very musical fashion."